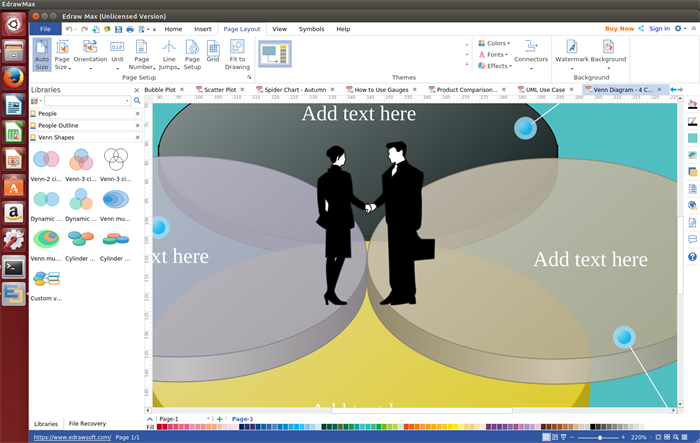 Edraw is an all-inclusive Venn diagram software for Linux with the capability of creating various diagrams in minutes. A Venn diagram (also called a set diagram or logic diagram) is a diagram that utilizes circles, either overlapping or non-overlapping, to depict relationships between and among sets, groups of objects that share something in common. It is extremely versatile and used across multiple curriculums. Edraw Venn diagram software for Linux is a diagram program which lets you create Venn diagram of different number of circles based on your data. You are able to edit colors of circles, background color, colors of overlapped parts, data, image position, zoom percentage, circle position, etc. 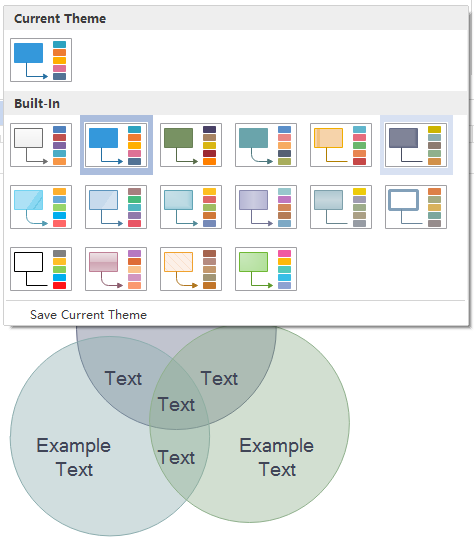 And it supports saving Venn diagram as many formats, such as Word, Excel, PPT, SVG, PNG, Visio and so on. 1. 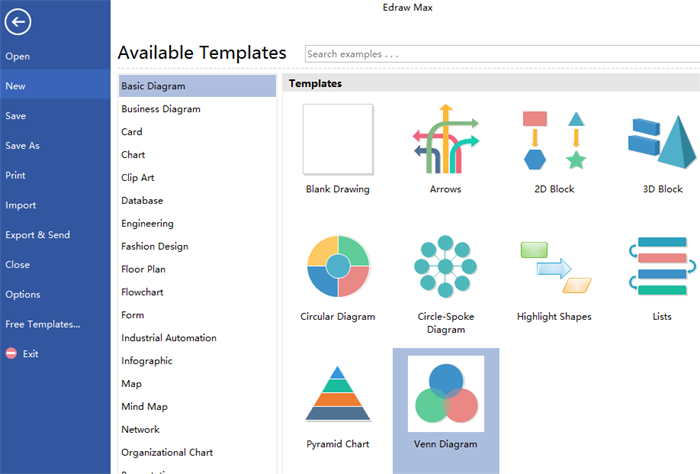 Best alternative of Microsoft Visio with lifetime upgrades guaranteed and reasonable price. 2. All-in-one diagram software which is capable of creating circular diagram, pyramid chart, highlights and some other diagrams, not just Venn diagram. 3. 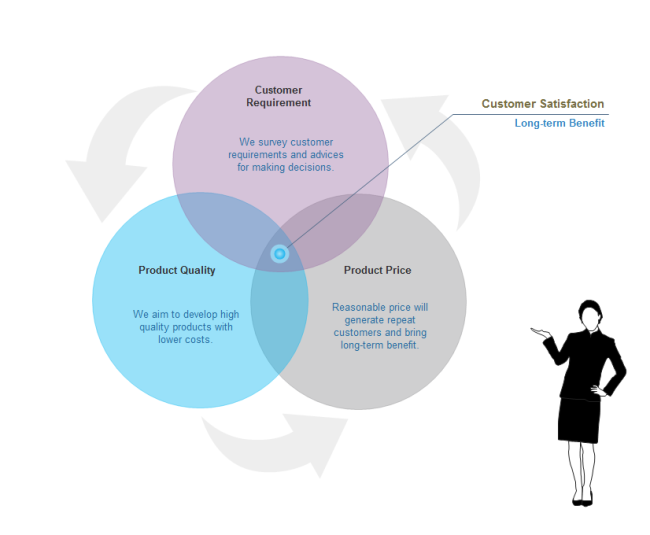 Various Venn shapes and templates makes diagram are provided for users to get started quickly and easily. 4. There is no need to worry about user can not find the shapes they want since embedded drawing tool enables them to free design. 5. Inserting attachments without putting all the information on diagram makes it tidy in visual effect but still rich in contents. 6. Sharing diagrams with colleagues and friends can be finished in minutes by exporting diagrams to common formats. Below picture shows the Venn diagram shapes provided by our Linux Venn diagram software. Just free to drag and edit theses shapes to fit your different needs. Below are 5 simple steps about how to create Venn diagram on Linux at ease. Step 1. 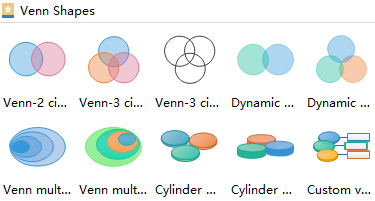 Launch the software, go to File menu > New > Basic Diagram, then double click the icon of Venn Diagram under templates window to open a new drawing page. Step 2. Drag a Venn shape suits yourself from left libraries and drop on the drawing page. Edit the circle size and color to fit the situation. Step 3. Double click the circles directly to add key information or open a block to add texts by clicking Text under Home page. Step 4. Switch to Page Layout and select a theme you like from built-in themes to make the Venn diagram more beautiful. Step 5. 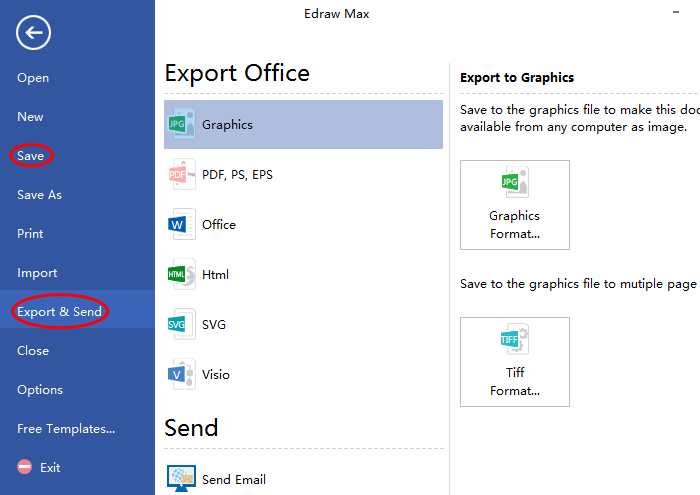 Go back to File menu, save the diagram by clicking Save or export it by clicking Export & Send. Following are Venn diagram examples created by Venn diagram software for Linux. All examples it drawn are free to download and share. So if you are interested in any of them, just download it and customize it to your own. 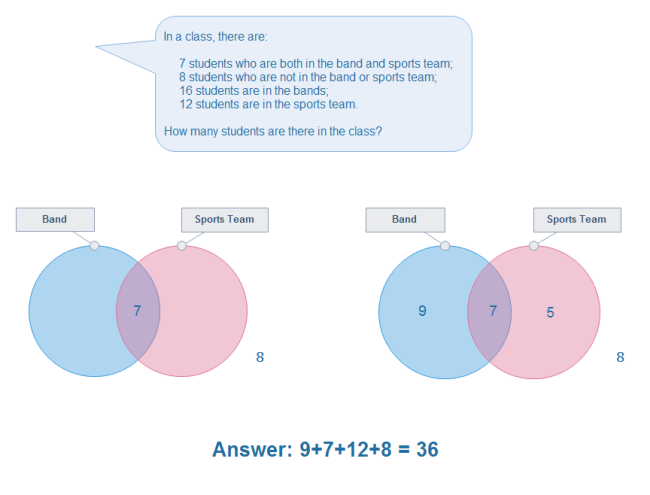 Venn diagrams are frequently used by teachers to help students understand math problem quickly. And this example is exactly a math problem Venn diagram. The reasons that may influence customer satisfaction are different but sometime there are some reason in common. Just like below example shows. 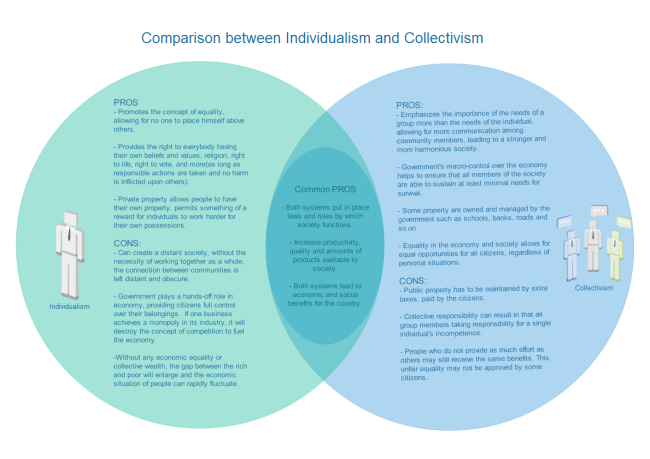 Here is a comparison Venn diagram example between individualism and collectivism. People can easily get the common points between them from this example.